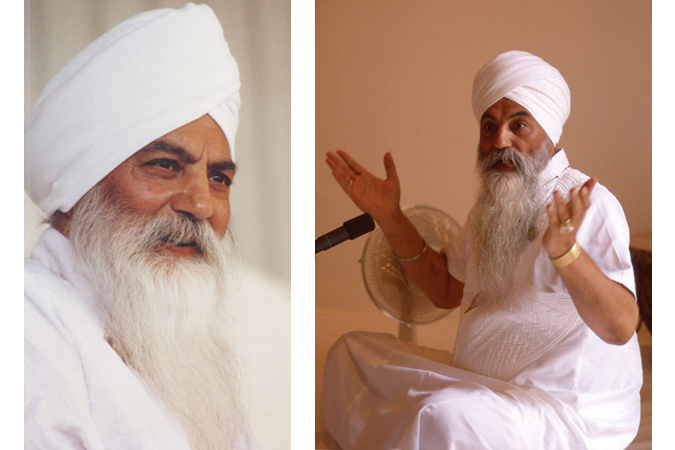 Yogi Bhajan was a compassionate and powerful spiritual teacher. As a Master of Kundalini Yoga and the Mahan Tantric of White Tantric Yoga he touched and transformed the lives of people all over the world. One of his most outstanding traits was his open hearted hospitality. He loved to have people around him, and he made sure there was a graceful space for people to gather. He also made sure that food and beverages were provided for anyone who came to visit, no matter how briefly. He made it a priority to create living spaces for students – (ashrams), work places (many Sikh businesses came to fruition because of his inspiration and encouragement), and places of worship (Gurdwaras). 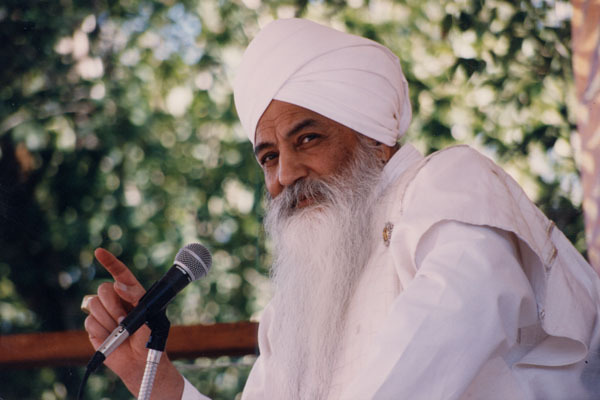 One auspicious rainy day, wanting to establish an ashram in New Mexico, Yogi Bhajan instructed a forlorn group of students in Santa Fe to drive north “until you find a place where the sun is shining.” The sun rays that broke through the clouds led them to a ranch property in Española, which Yogi Bhajan eventually purchased. This became the base of "Hacienda de Guru Ram Das" on October 22, 1971. The property was over six acres with a house, and a barn with a chicken coop where the langar hall is now located. Eventually the property gained a lovely small Gurdwara which held a beautiful mural painted by Ed O'Brian depicting Guru Ram Das, Our Lady of Guadalupe, and Yogi Bhajan. This exquisite work still graces the Gurdwara today. Yogi Bhajan (who later became the Siri Singh Sahib of Sikh Dharma) said, “We were very happy when we discovered that we had found a jewel when, with God’s will we founded Hacienda de Guru Ram Das. This was six acres and a house. We were only eleven people, and we could be accommodated very easily. Over the years, we did what we did. Some of us left; some of us fought for it; some stayed. But the hand of God, as destiny took it, worked it out. From 1971-1976, several properties adjoining the Main House were purchased to accommodate the rapid growth of Hacienda de Guru Ram Das. In 1973 Yogi Bhajan purchased the Gold House along with its four acres of property. In the early years he used that as his residence when he came to New Mexico. Through the years, many people lived in the Gold House, and it was also used for weddings and other celebrations. Tents were put up on the grounds surrounding the Gold House in the summer for Khalsa Women’s Training Camp. Beautiful cottonwood trees grace this park-like area. Shower facilities and bathrooms were built so women could camp here in the summer months and study directly with the Master. By 1975 Yogi Bhajan purchased a 13-acre Ranch across the highway from Hacienda de Guru Ram Das and made this his home during the summer months. A Dome was built for him on the Ranch property. This became his personal living space while in residence in New Mexico. In 1997 the adjoining 3-acre property called the Guru Ram Das Estates was purchased. He built a beautiful home around a simple mobile home. Always the humble yogi he slept in a very modest small room made of logs and concrete, called “The Log House” outside of the Estates. He used this room until health reasons demanded his move back to the dome where, on October 6, 2004, at the age of 75, he left his body. 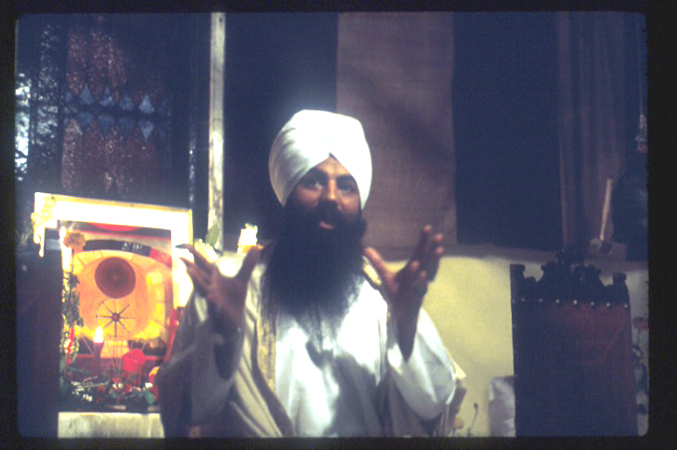 The Siri Singh Sahib always referred to Hacienda de Guru Ram Das as the "Mother Ashram." This ashram hosts people from all over the world, students attending Summer Solstice, Khalsa Women’s Training Camp or KRI "Masters Touch" Courses, as well as people who come just to be in this nurturing community for a while. Always a master of working with, improving upon, and beautifying what is already there, Yogi Bhajan worked tirelessly to transform the Ranch into a world-class outdoor museum for future generations to visit and enjoy the beautiful richness of it. The Ranch presents a colorful display of lawns, fountains, gardens, art objects, and buildings. On his behest, beautiful albino and colored peacocks roam freely on the property and ostriches and emu’s are protected in a large fenced off area. The Ranch directly reflects Yogi Bhajan's playful personality, his Virgo nature of keeping everything beautiful and clean, his consciousness, and his absolute love of Guru Ram Das. 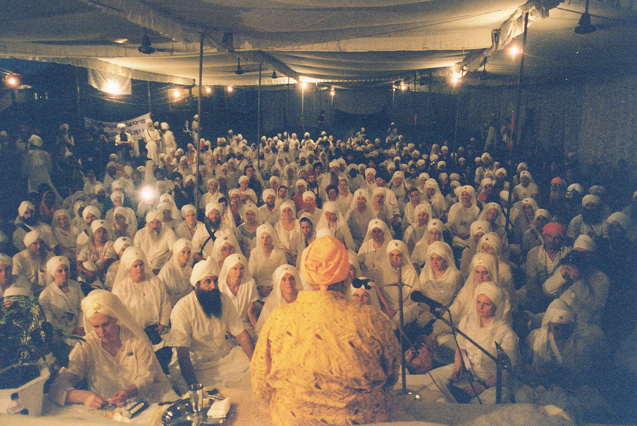 Yogi Bhajan dearly loved the Ranch and the other properties that made up Hacienda de Guru Ram Das. He donated all of these properties and they are now owned by Legacy of Yogiji Foundation.